Get to know Marlin Reeves, Member One Market Manager for the Hershberger retail center! 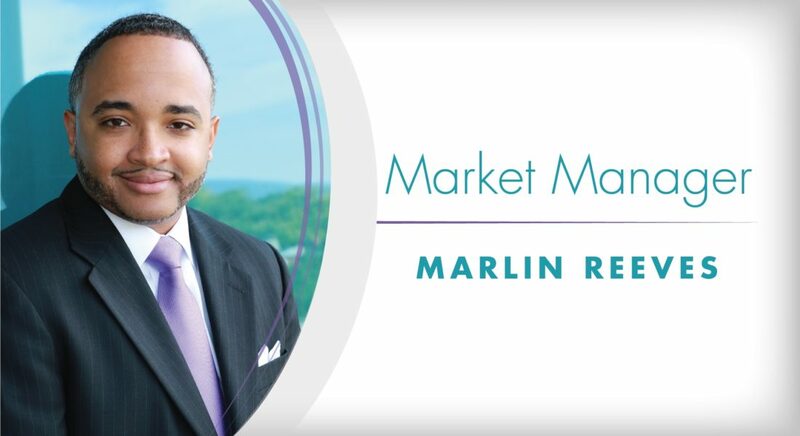 In this interview, Marlin talks about what motivates him everyday, picks a 90’s theme song for working in the financial industry, and reveals what he has in common with 007 (Bond, James Bond.) Keep reading to get to know more! AL: Let's start with (hopefully) an easy one—where are you from? MR: I’m from Christiansburg, VA, and I graduated from Christiansburg High School. Christiansburg is where I currently reside. But, in my school-age years I did live in Winston-Salem, NC for a few years, and I also lived in Virginia Beach for a few years. And in the last decade I’ve also lived in Roanoke for a few years. AL: I bet it must have been fun to live by the beach! MR: It was! But surprisingly, I actually didn’t go to the beach all that much. During the two-year period that I lived there I probably went, maybe seven times. It’s kind of like when you work at a restaurant: After awhile you kind of get tired of the food and you don’t really eat it all that much anymore. It’s kind of like that when you live at the beach. It’s more fun when you’re a tourist, I think. AL: True, I guess living there gives you a different way of looking at it. What would you say is the coolest place you’ve ever visited? MR: I’ve traveled outside the country quite a few times, but one of the coolest places I’ve ever been to is Vietnam. In terms of just sheer distance, it would have to be Vietnam. It was quite a lengthy flight! My sister has two children with a man from Vietnam, so we took a family trip over to his country to see where he was from. I would say it was one of my favorite places I’ve ever visited, just the scenery, the different culture, and the food. AL: What is your favorite ’90s song? AL: Yes! It was Lil’ Kim. Lil’ Kim and Puff Daddy. AL: Yes, it’s perfect! So, if you were a movie character, who would you be and why? MR: I would like to think I’d be 007. Man of mystery. I think I’m a pretty well-rounded person, sometimes hard to figure out. I have a lot of layers to me. A lot of things about me, people may not know, for example, I’m actually an ordained minister. So, that’s why I say man of mystery. AL: That’s a good choice! So would you be Daniel Craig 007? Or Sean Connery 007? MR: Hmm, I don’t know. I think I could be any of them, really. I’m a versatile person. I can go off the cuff, I don’t need a script. AL: So what brought you to Member One? How did you start working here? MR: Well, I’ve had a lot of jobs. I started out in the restaurant industry as a restaurant manager. Then I went to sales with PepsiCo and Coca-Cola. And then when I got to college, I decided, you know, I’ve always enjoyed learning about money and educating people about finance. So, while I was in college I started working for BB&T. I then took a job as an operations manager at what used to be First National Bank/Stellar One. AL: What has been the best part about working here? MR: In all my time in banking, nothing against banks, but I never truly felt fulfilled in my work because I didn’t really feel like I was helping people—it was all about the bottom line. Member One is the exact opposite, because I can see everyday the impact we have in the lives of our members. That singlehandedly is the reason I’m able to get up everyday and come to work without an attitude of, you know, “oh, gosh, I’ve got to work again.” I love what I do, I love who I do it for, and that keeps me coming down 81 making that 35 minute commute every morning. AL: If you had 30 seconds to give advice to your younger self, what would you say? MR: I would say, continue to be ambitious. Continue to dream. Always look for the positive. There’s going to be failures along the way, you’re gonna fall down, you’re gonna make mistakes. You make mistakes—we all do—to learn, to grow. None of us are at the place where we don’t have the capacity to grow more. Always seek to be learning. And I think I would tell my younger self, and my adult self as well, don’t be overly ambitious to the point where you become naïve about where you are and about how much room you have left to grow. AL: That’s great advice. Ok, now I’ll ask you one more question. If you could have a drink with anyone in history, who would it be? MR: Dr. Martin Luther King, Jr. He is a figure I have admired since the time I was a little boy, because of his strength and courage. The strength to stand up, when you’re having dogs and hoses turned on you, when you’re getting death threats and threats against your family, because you’re fighting against the injustices faced by people of color. And not just your own people but also other individuals that rights were denied to. That’s why he is my biggest idol, and if I could sit down and have a drink with him, I would just like to pick his brain and hear how he found the courage. I actually have a picture of him hanging in my bedroom, because everyday I look at it and say to myself: “If he could do it, I can do it.” He could have easily accepted the status quo, the injustices. He could have said, you know, well, things will change in time. But he didn’t wait. He was the change he wanted to see in the world. I think if we all take that mindset, if we don’t take a backseat and wait for others, if we realize we are the catalyst for change, then I think the world would be a better place. **Parts of the interview have been lightly edited for length and clarity.